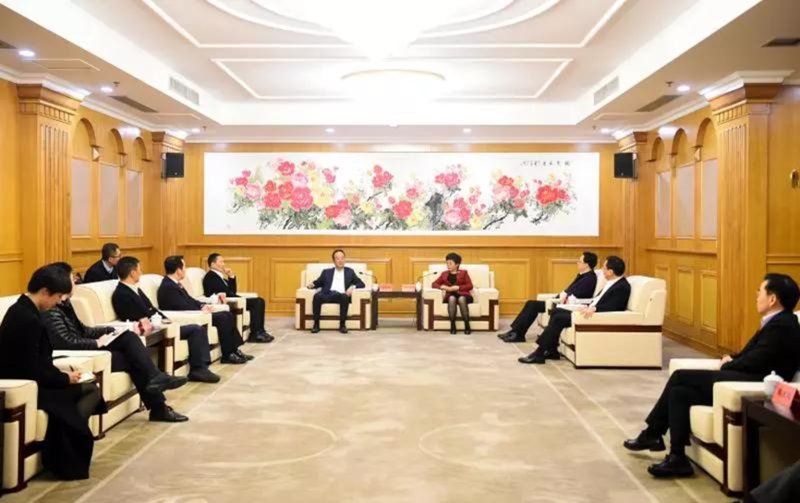 Chen Yijun, Party chief of Taizhou, met on Friday with a visiting Zhejiang Geely Holding Group delegation headed by An Conghui, president of the company. Chen congratulated An on the remarkable accomplishments his company achieved in 2018. In the past year, Geely had incredible results despite the ever-changing global economic landscape, she said. Chen added that Taizhou is making all-out efforts to foster seven pillar industries including automobile and parts while optimizing its business climate by lightening corporate burdens and enhancing government services. She hoped that Geely will maintain its growth momentum, contributing more to the social and economic development of the city where the company started. An Conghui expressed gratitude for the past years of support from the Taizhou government. According to An, Geely Auto Group sales rose 20.3 percent from 2017 to 1.5 million last year, topping domestic brands in shipments. He traced the robust sales growth to the company's increased efforts in research and development and new product marketing. Looking ahead, An said the company plans to expand its presence in Taizhou and further its cooperation with the city, thus fueling its high-quality development. Copyright© 2018 The Information Office of Taizhou Municipal Government.